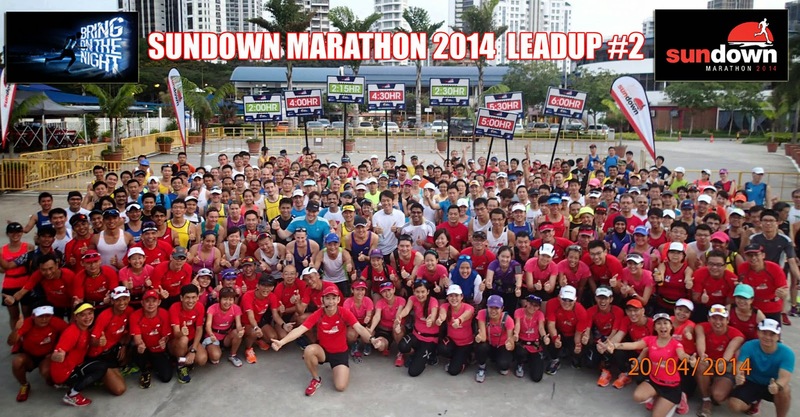 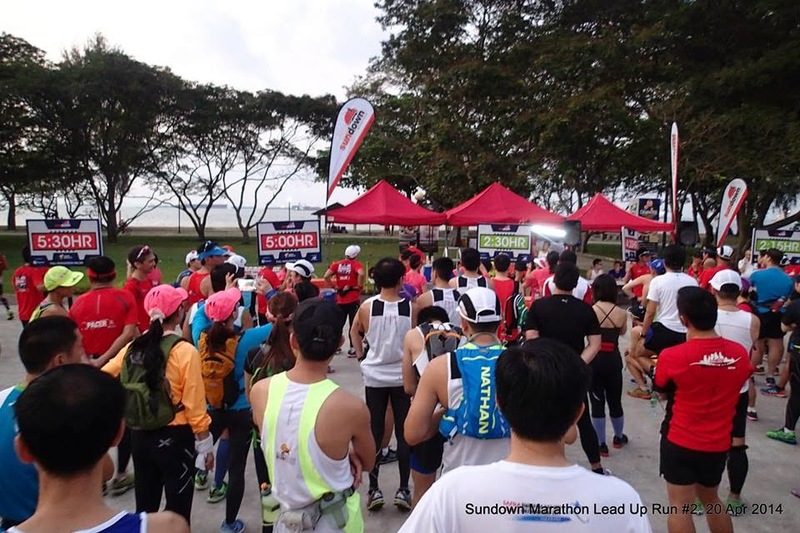 The second Sundown Marathon Lead Up Run saw another capacity crowd arrive early to the Playground @ Big Splash, ECP. 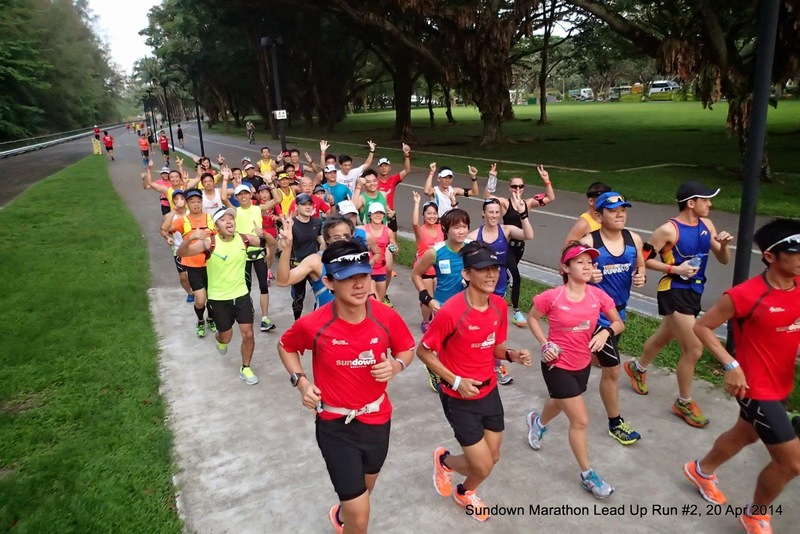 After the overwhelming attendance for the 1st Lead Up Run at night, registrations have filled for the 2nd and final lead up runs, allowing for a more manageable crowd in terms of pace guidance and resource allocation. 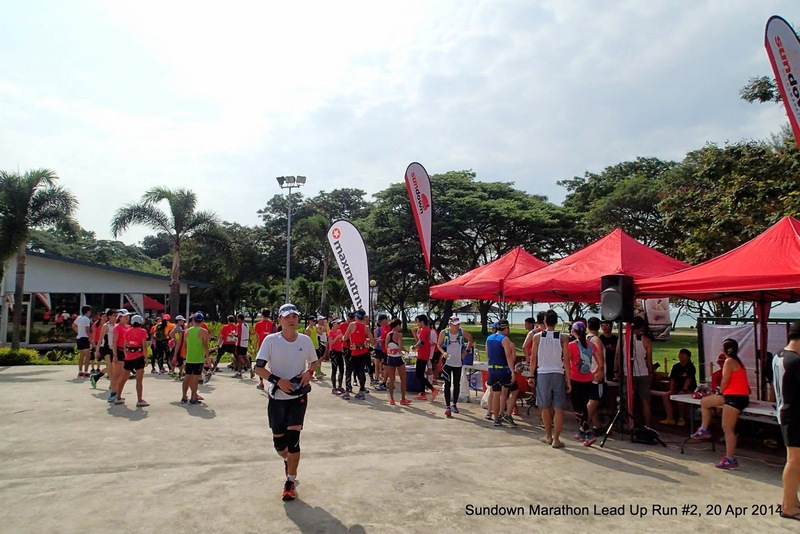 Because of the longer distances of 21km for the Half Marathoners and 30km for the Full Marathoners, the Sundown Organizers was at the Playground way before 6am to setup for the early arrival of the enthusiastic Sundown Marathoners. 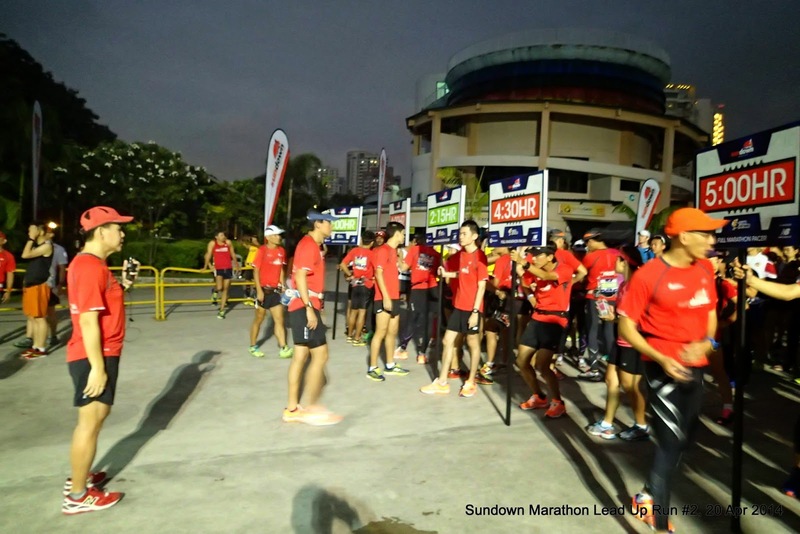 The Sundown Marathon Pacers were also out in full force, carrying pace timing Boards to mass the participants into their respected pace groupings of (2:00h, 2:15h, 2:30h) for the HM and (4:00h, 4:30h, 5:00h, 5:30h, 6:00h for the FM. 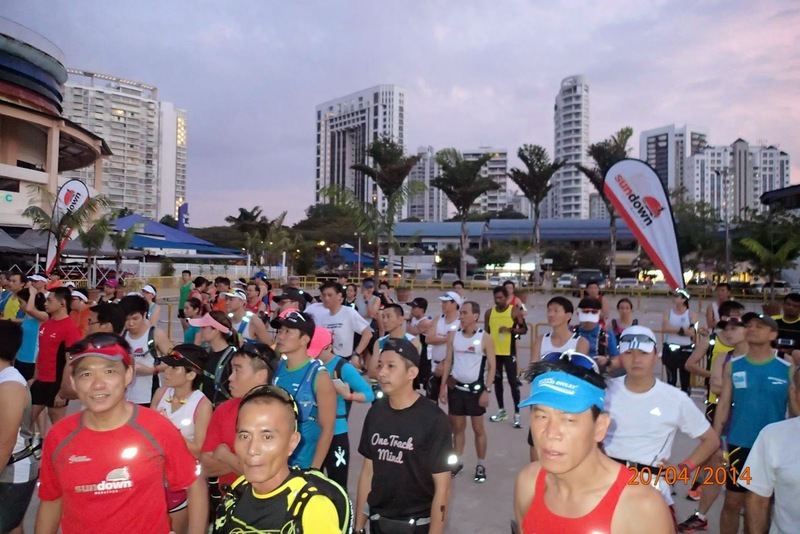 There was an air of excitement amidst the cool morning, albeit with humidity rather high in the face of impending late morning rain. 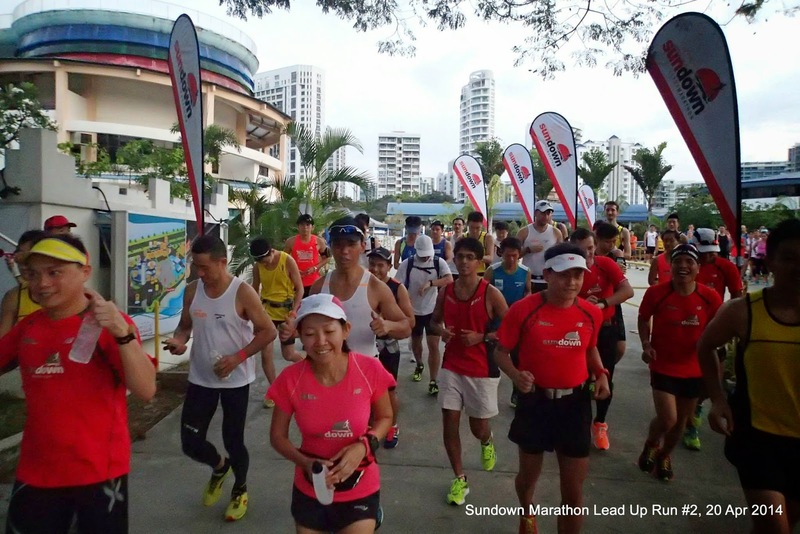 After the route and pace group briefings, the respective groups were flagged off to the sounds of the air horn with the Sundown flag waving proudly in the air. 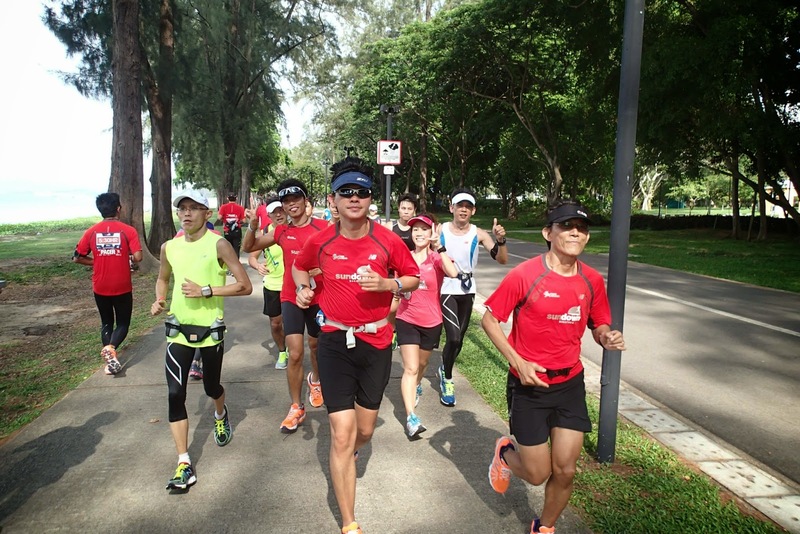 The objective of this training run was to maintain and sustain Marathon Pace (MP) for the respective distances. 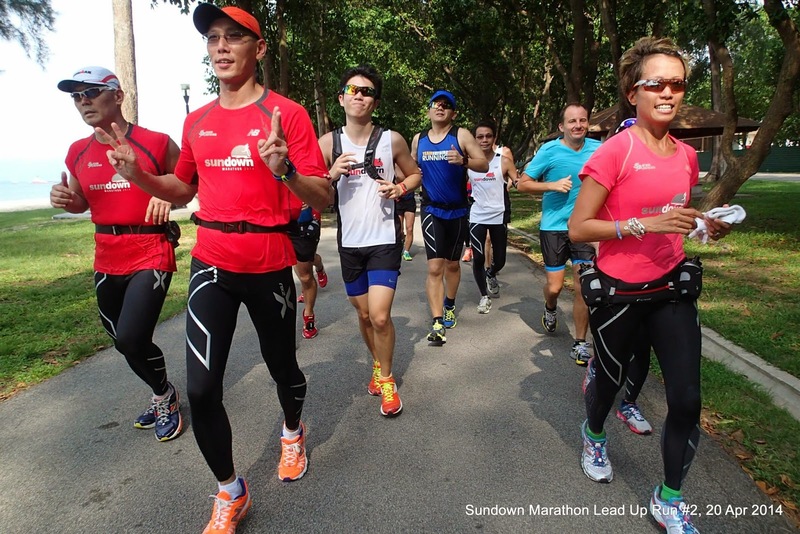 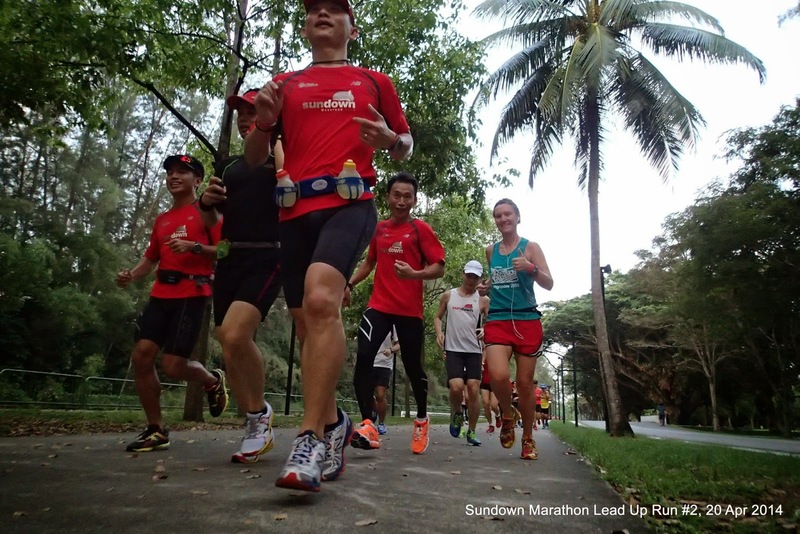 With the help and guidance of the Sundown Marathon Pacers, the participants were all rev-ed up to do their best to meet their personal targets in terms of pace and distances. 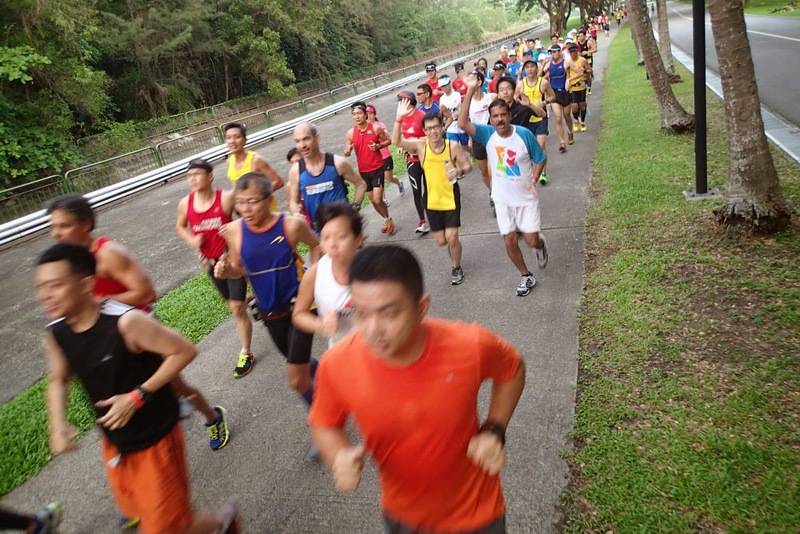 It was a motivating sight to see all the timing groupings led by their respective Pacers (with timing bibs on their backs) moving as one along the straights of the East Coast Parkway. 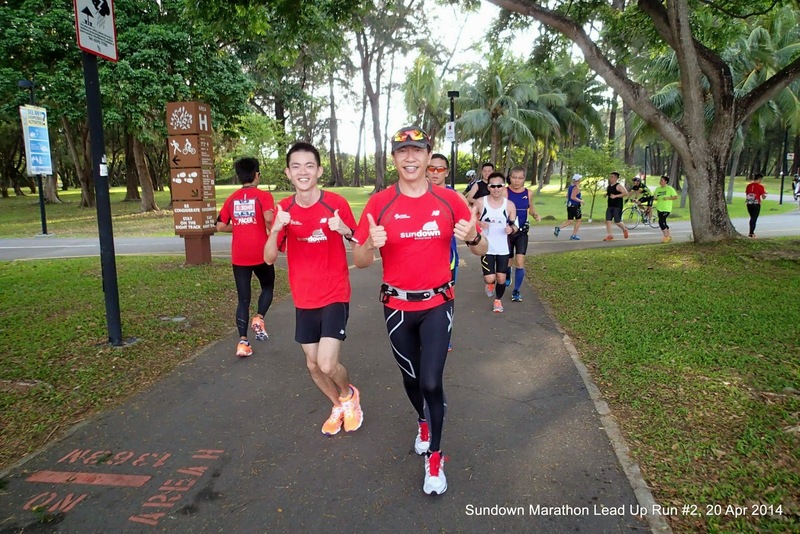 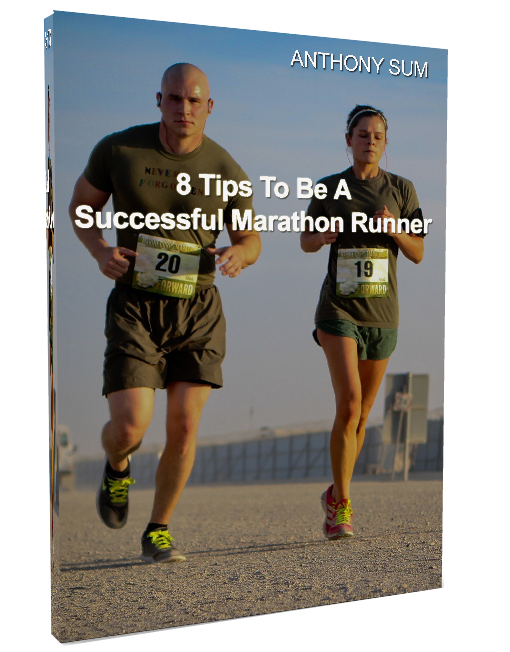 There were applause and shouts of encouragement, interjected with the occasional whistles, as the various groups pass one another – that always injected extra energy into the runners, providing additional boosts to their mission of sustaining Marathon Pace. 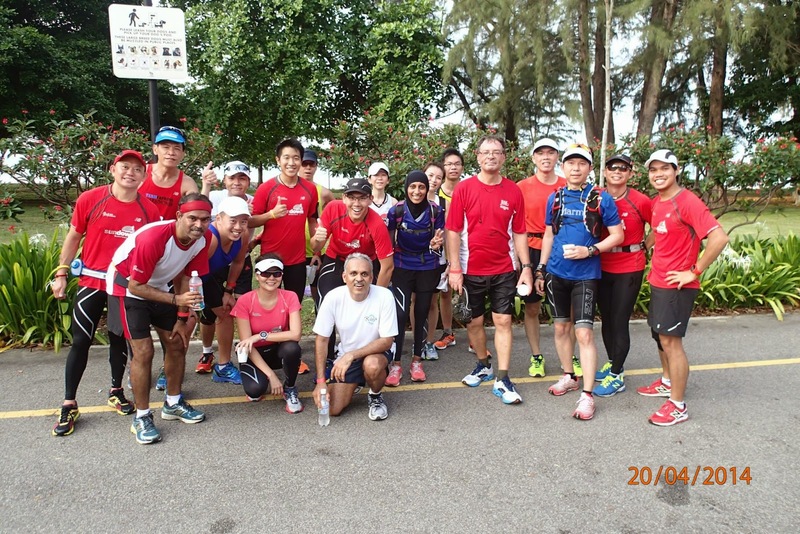 The first 12km was done with all groups on pace and ever energetic as we took a ‘technical halt’ at the Maxinutrition hydration point set up at NSRCC. 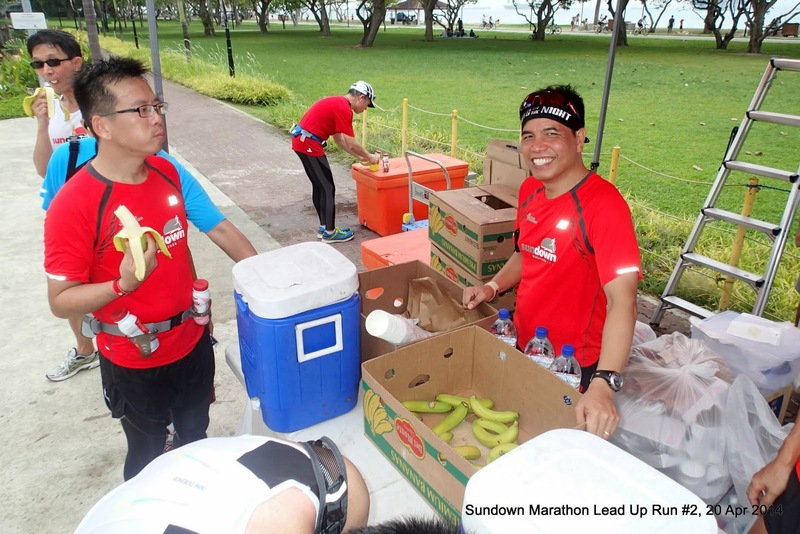 The hydration team comprising of Maxinutrition and FatBird volunteers did a sterling job to manage the constant flow of electrolyte drinks without much of a delay to the runners’ continued advance back to the Playground. 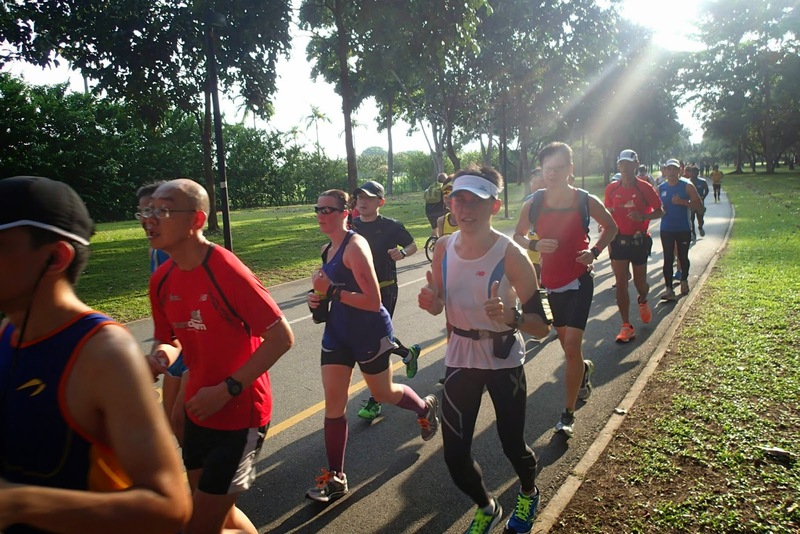 By the 15km, the various groups have thinned somewhat with the faster runners moving ahead at their comfortable paces, whilst the ones who were not able to keep up with their respective paces falling slightly back. 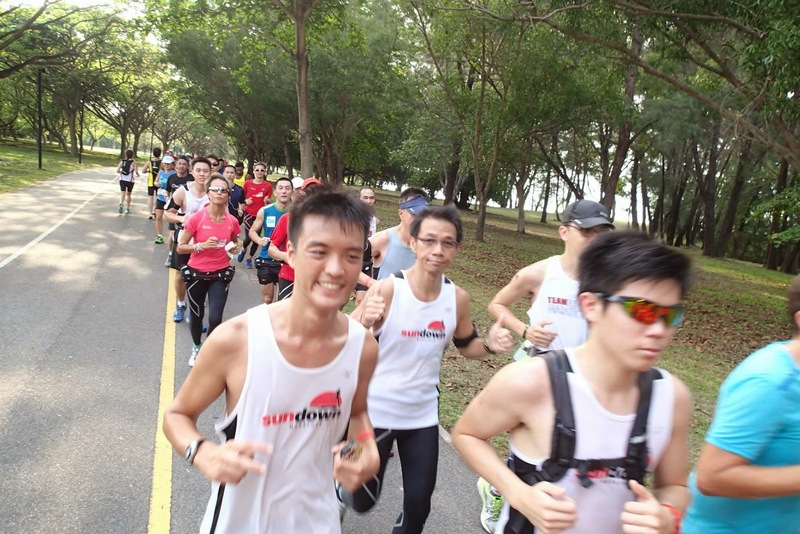 The Sundown Pacers were immaculate with the main body keeping the target MP in check, while there was a lead and sweeper in each pace group to help with the ones in front and at the rear. 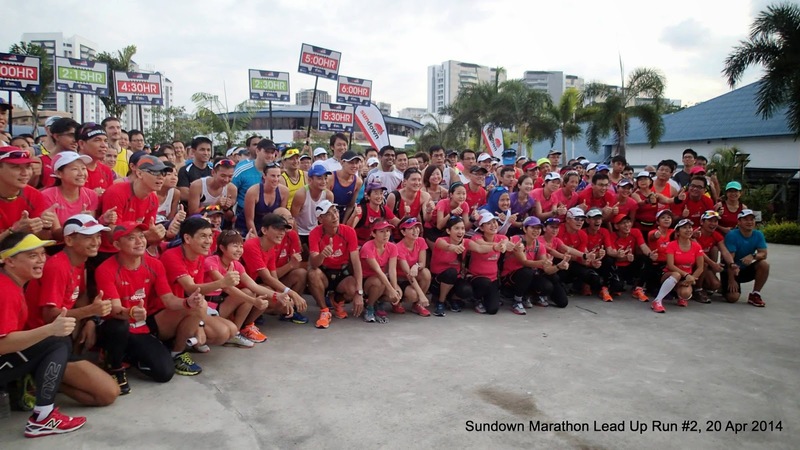 It was also good practice and experience for the Sundown Pacers as they got to feel for some of the runners’ management issues they may encounter on actual race night. 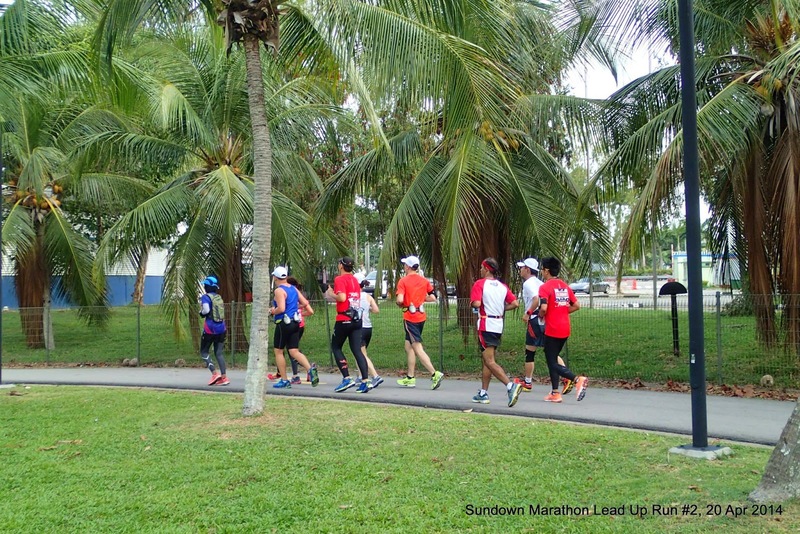 The HM groups reached the Playground with 21.1km completed with 2min to spare in each of their respective pace timings. 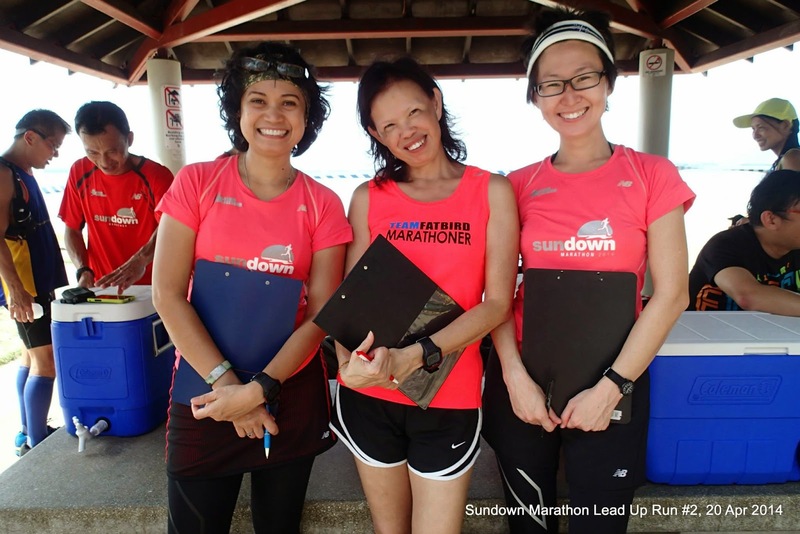 If this plays out to plan on race night, the Half Marathoners would have no problems hitting their race timing objectives at all. 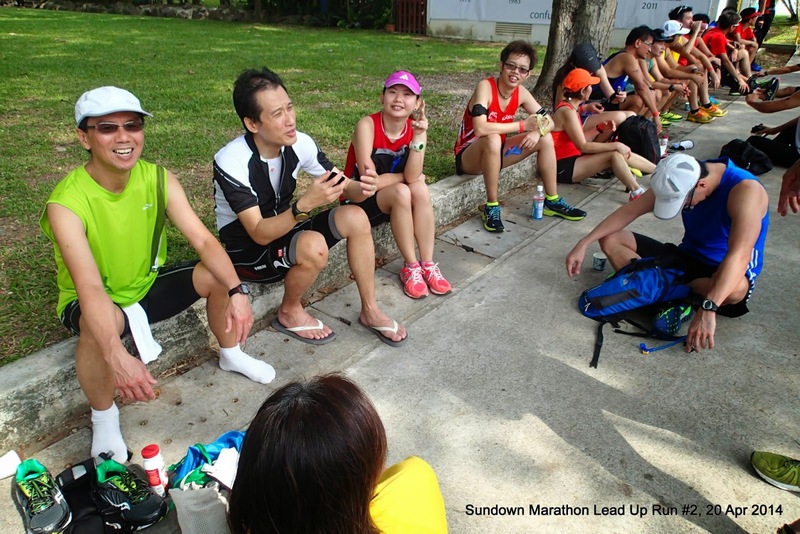 As the HM rested in the cool shade of the trees nearby, the FM runners came back within the MP timings, but the weariness and fatigue brought upon by the heat of the morning sun could be seen in many of the runners. 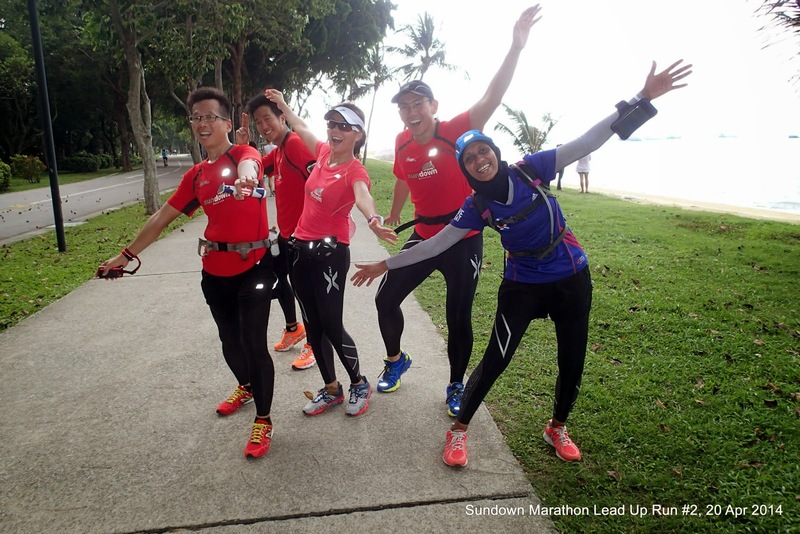 With 9km remaining and in wanting to meet their training objectives, the Sundown Pacers rallied their respective groups to continue with their sustained paces – kudos to their mental strength and resolve to complete the mission at hand. 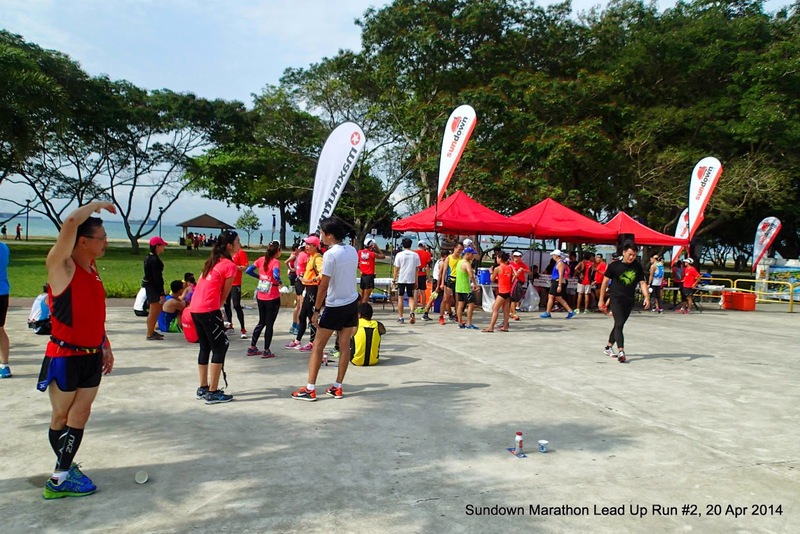 The second loop after the hydration stop at Playground was tough, especially with the overbearing heat of the sun testing the steadfastness of the pace groups. 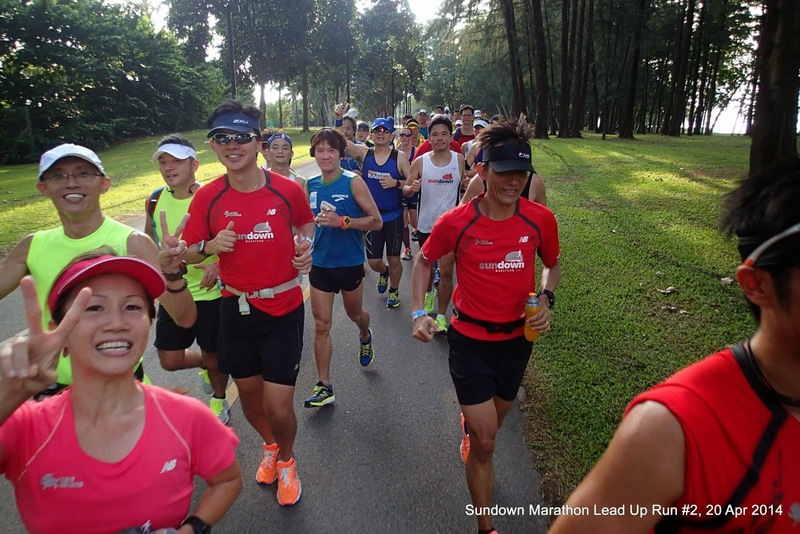 It was a lot harder to keep up with Marathon Pace (MP) as the kilometres drew on, but the Sundown Pacers were giving their all to encourage and motivate the tiring troops to avoid dropping off the MP trail. 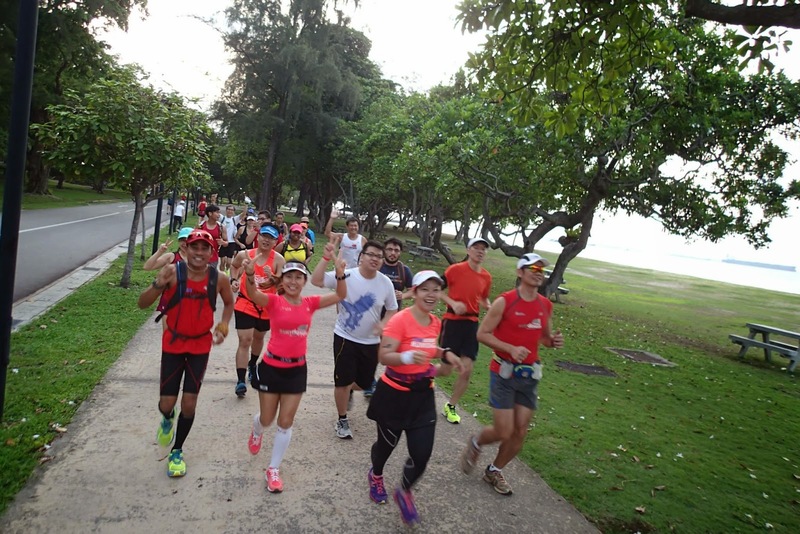 After 3 hours, the first of the FM groups streamed in to loud cheers and applause as they complete the full 30km in target paces. 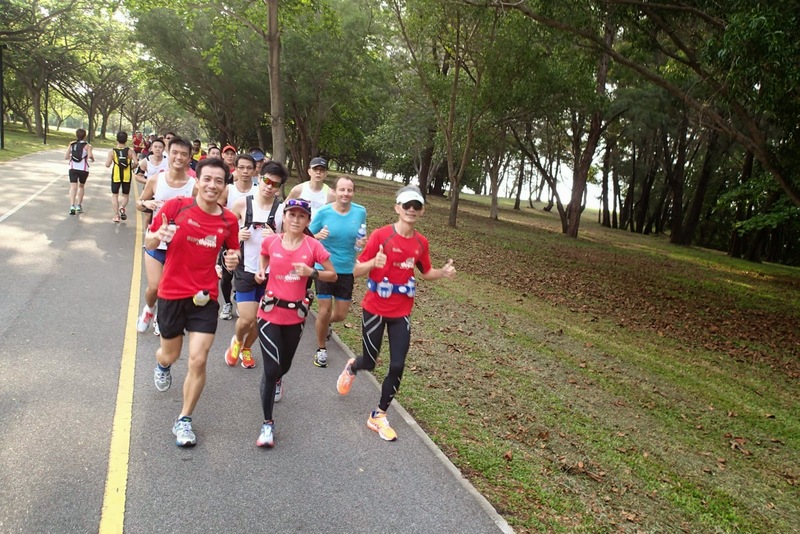 Handshakes and warm words of congratulations went around the group members and Pacers for a job so well done. 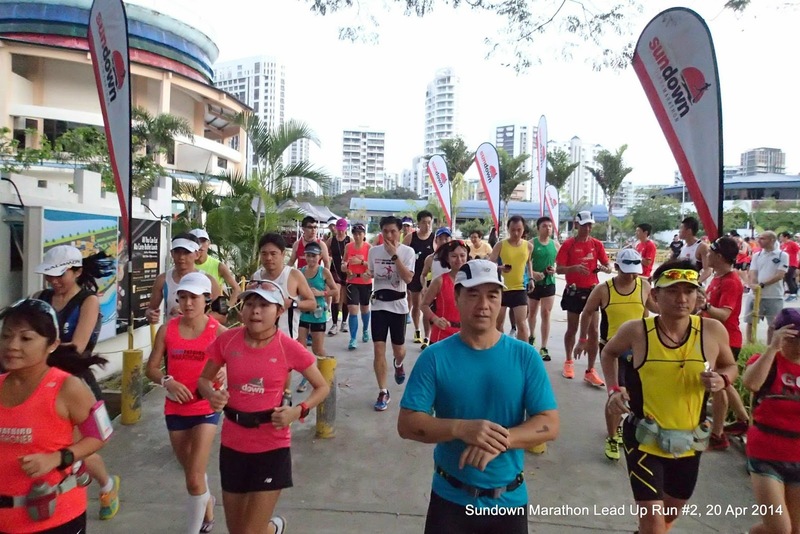 The rest of the groups came back in about 15min intervals, and as they drew near, lots of shouts and whistles could be heard. 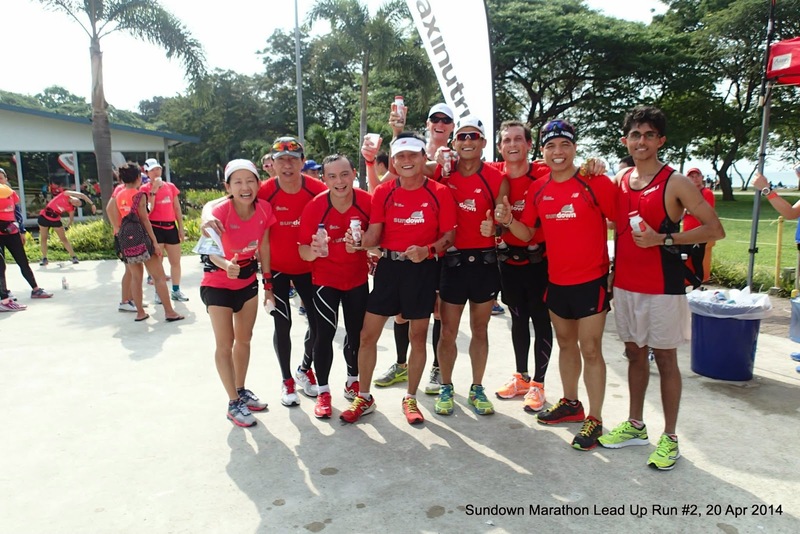 The weary but satisfied smiles of the runners when they crossed the finish line were ‘invaluable’ and that in itself was the just reward for accomplishing what they set out to do in the morning. 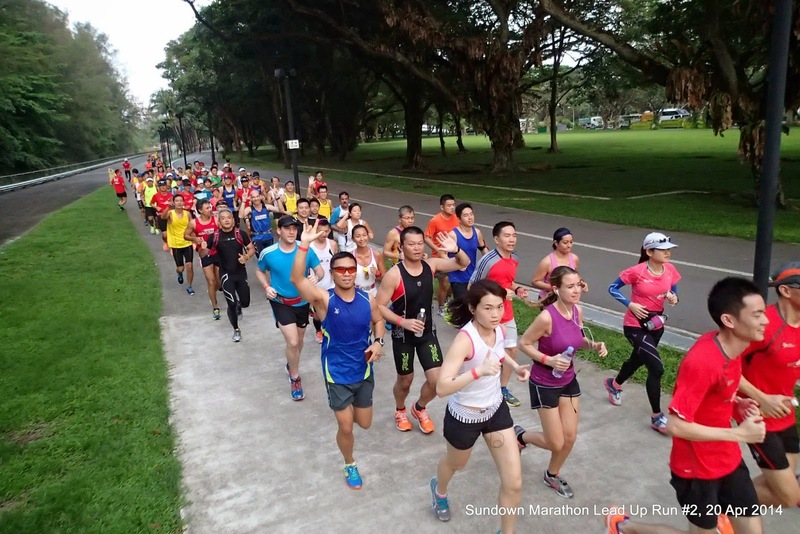 Some of the participants did not complete the intended distances, but still felt accomplished and happy that they were able to maintain the targeted MP for 70-90% of the prescribed distances, before slowing slightly to complete the full distances at a slightly slower pace. 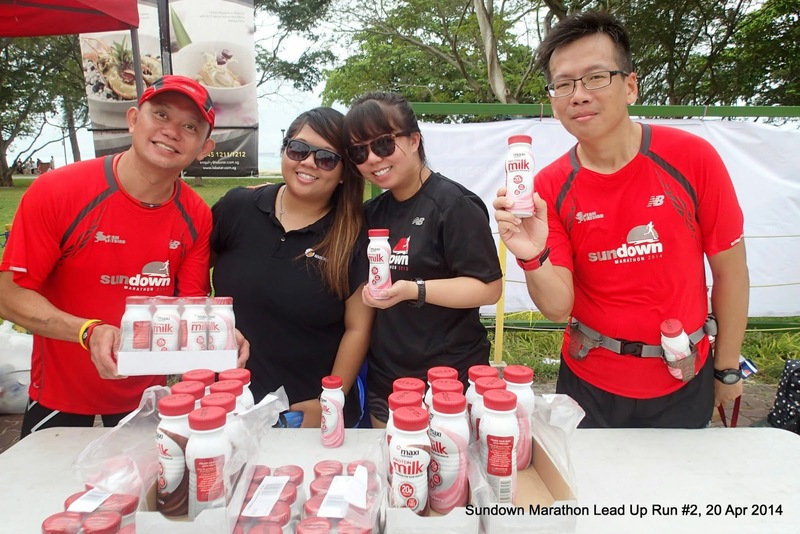 It was the great organization and support from Sundown Organizer and Maxinutrition, coupled with the professionalism and dedication of the Sundown Pacers, along with the commitment and positive attitude of the Sundown Runners that made this Lead Up Run a huge success – Congratulations to all who have contributed to make this run so happening! 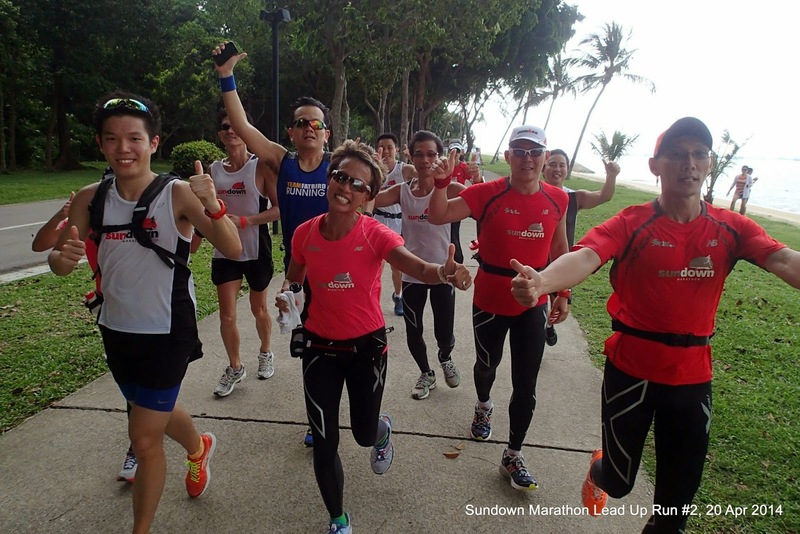 Oh Yeah, The Sundown Runners!